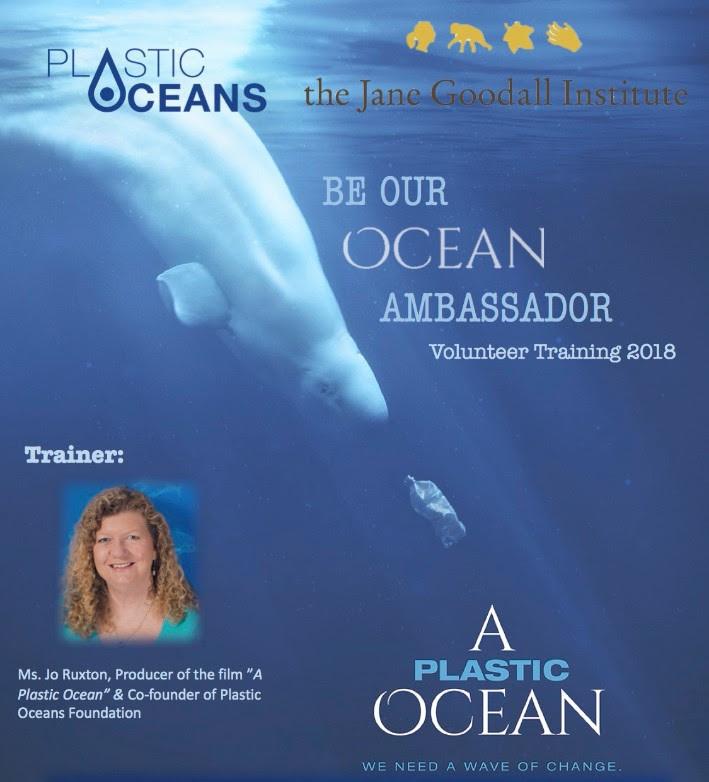 Supported by Plastic Ocean, the Jane Goodall Institute (Hong Kong) will host a volunteer training . We are glad to have invited the Producer of “A Plastic Ocean” , Ms Jo Ruxton, to deliver this session. “A Plastic Ocean” produced by Plastic Oceans Foundation which reveals the unsettling truth about plastic pollution in oceans and the threats to human health. The film has been screened in over 60 counters and recognized with 10 awards from various film festivals from around the globe.